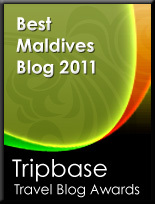 Following on from Adam’s blog on the sinking Maldives this blog concerns itself with one Man’s fight to bring the problem to the world stage. The Island President is a dramatic feature documentary by Actual Films that lifts the issue of global warming out of the theoretical and into the personal. President Mohamed Nasheed is trying to save 385,000 people from drowning. His nation of 1,200 low-lying islands, the Maldives, is sinking into the Indian Ocean as sea levels rise due to global warming. Climate change experts say that some of the islands will be submerged within 20 years, threatening the lives of the largely impoverished inhabitants as well as inundating the lavish resorts that dot the islands. Nasheed’s unprecedented contingency plan is to move his entire population to a new homeland. As he conducts serious discussions about this with Sri Lanka and Australia, Nasheed is doing all he can to prevent this looming disaster by trying to convince world leaders to halt global warming.